What great companies do. Together, with us. Thoma Bravo’s past and current portfolio companies represent many of the leading software companies in application vertical markets, infrastructure and cybersecurity. Within the software and technology industries, Thoma Bravo has helped build many of the world's leading companies in applications, infrastructure and cybersecurity. Today, our firm’s private equity software portfolio includes 35 companies that generate over $10 billion of annual revenues and employ over 33,500 colleagues around the world. ABC Financial is the nation’s leading software and billing provider for the health and wellness industry. Its comprehensive software services include payment processing solutions and advanced health club management tools, such as DataTrak, that allow gym owners and managers to track and manage memberships and member and employee schedules, drive member engagement, and automate payment processing functions. The company is a leading technology provider of business management solutions serving small and medium-sized retail and wholesale distribution businesses in three primary vertical markets: hardlines and lumber; wholesale distribution; and the automotive parts aftermarket. Founded in 1972, Activant provides customers with tailored proprietary software, professional services, content, supply chain connectivity and analytics. Thoma Bravo invested in Activant in 2006. The company’s earnings grew steadily over the next five years and, in 2011, it was acquired by Apax Partners and merged with Epicor Software Corporation (NASDAQ: EPIC) to create one of the largest global providers of enterprise applications focused on the manufacturing, distribution, services and retail sectors. Apttus is a leading provider of software for the “middle office” (e.g., where profit and loss is managed and customer strategies implemented) in enterprises around the world. Its comprehensive suite of quote-to-cash (QTC) software solutions address all the processes necessary to go from providing a price quote to recognizing revenue, including configure-price-quote (CPQ), contract lifecycle management (CLM), e-commerce and billing and revenue management. Apttus’ solutions automate, optimize and apply artificial intelligence to the most important set of business processes for any enterprise – generating revenue and managing key commercial relationships. Its customer base includes hundreds of the Global 2000 and is expanding rapidly as enterprises of all sizes are recognizing the importance of middle office solutions to their growth and success. A 2004 investment by Thoma Bravo and two other private equity firms in a relatively small provider of software for accessing and integrating legacy computing applications was the first step in the creation, through a multi-year series of strategic acquisitions, of The Attachmate Group, the world’s largest independent provider of access and integration software for legacy systems. In 2014, Attachmate merged with Micro Focus International plc, a multinational, UK-based software and information technology business that provides software and consultancy services for clients updating legacy systems. As a result of the merger, Thoma Bravo and the other private equity firms became owners of about 40% of the outstanding stock of Micro Focus, which is listed on the London Stock Exchange and is a constituent of the FTSE 250 Index. The stock was sold over the following two years. Bomgar is a leading provider of Secure Access solutions for business. Bomgar’s secure access solutions enable customers to more easily support people, access and protect endpoints and defend privileged credentials to counter cyber threats and speed business performance. Organizations around the globe use Bomgar to deliver superior support services and reduce threats to valuable data and systems. Bomgar clients include some of the world’s leading IT outsourcers, systems integrators, software vendors, healthcare organizations, government agencies, universities, financial institutions and retailers. Thoma Bravo’s Discover Fund acquired Bomgar from another private equity firm in 2016 and, with management, quickly implemented an operating improvement plan that substantially improved the company’s profit margin. This was followed by a key add-on acquisition that enhanced the company’s security offerings. Bomgar was subsequently sold to an affiliate of private equity firm Francisco Partners. Centrify is a market leader in Privileged Access Management (PAM), an important component of network cybersecurity. Centrify software verifies every user on a network, validates their devices, and limits access and privilege. Centrify also utilizes machine learning to discover risky user behavior and apply conditional access — without impacting user experience. Centrify’s Next-Gen Access identity and access management solution uniquely converges Identity-as-a-Service (IDaaS), enterprise mobility management (EMM) and PAM. Over 5,000 worldwide organizations, including over half the Fortune 100, trust Centrify to proactively secure their businesses. Compuware is the largest software company in the world exclusively devoted to optimizing customers’ IBM mainframe environments. Compuware empowers the world’s largest companies to excel in the digital economy by fully leveraging their high-value mainframe intellectual property. The company’s highly innovative mainframe application development and performance optimization solutions uniquely enable IT to drive business value. ConnectWise is a leading provider of software solutions to the Managed Service Provider (MSP) and SMB ecosystem. The company provides the most comprehensive business automation platform in its industry. This includes Professional Services Automation (PSA); Remote Monitoring and Management (RRM); Configure, Price, Quote (CPQ), plus Remote Connection and Security offerings for more than 25,000 partners in more than 65 countries. Further, the ConnectWise platform integrates with over 200 third-party applications, helping MSPs mine new revenue streams associated with those applications. With more than 35 years of experience, ConnectWise delivers the software solutions and support MSPs and SMBs need at each step of their business journey. Continuum is the premier global IT management platform for Managed IT Service Providers (MSPs). Continuum provides MSPs with the platform, services and processes needed to simplify IT management and deliver high quality Remote Monitoring and Management (RMM), backup and disaster recovery and security offerings to small- and medium-sized businesses (SMBs). Its vertically integrated service delivery model combines a SaaS-based technology suite with a best-in-class Network Operations Center (NOC) and Help Desk, and allows MSPs to remotely administer, backup and secure their clients’ IT environments from a single screen and to scale quickly and cost-effectively. For over 25 years, Datatel has focused exclusively on helping colleges and universities manage their business processes. Datatel today provides fully integrated enterprise information management software solutions to more than 600 colleges, universities and other higher education institutions serving almost 4 million students. Thoma Bravo invested in the company in 2005 and worked closely with the company’s management to improve its operations and enhance its profitability before selling the business about 4.5 years later for a substantial gain. Deltek is the leading provider of project-focused enterprise software and information solutions for government contractors and professional service firms. The company’s product portfolio includes a comprehensive set of financial management solutions, business organization and program management applications, and business development and customer relationship management solutions. The company also is the largest provider of government RFP data and information, offering its customers insight into trillions of dollars of government contract opportunities. Thoma Bravo acquired Deltek, then a public company, through a take-private transaction in 2012. Operational improvements and efficiencies were implemented immediately, improving annual earnings by tens of millions of dollars. Working closely together, Thoma Bravo and management (led by the company’s former CFO who was appointed CEO) improved cash flow margins by more than 60% and made six accretive acquisitions. In 2016 the company was acquired by Roper Technologies (NYSE: ROP). DigiCert is a premier, trusted provider of enterprise security solutions. As a leading Certificate Authority (CA), it provides Secure Sockets Layer (SSL) Certificates to over 115,000 customers in more than 180 countries, and is one of the few CAs dedicated solely to advancing public key infrastructure (PKI) software solutions for enterprises and networked devices. SSL technology applies complex cryptographic algorithms to secure communications between a web browser and a web servers. The Company’s SSL and other digital certificates and certificate lifecycle management products are used in e-commerce, healthcare, the Internet of Things and other emerging applications. Digital Insight, formerly the Financial Services division of Intuit, Inc. (NASDAQ: INTU), helps banks and credit unions grow by offering innovative online and mobile banking solutions that make it easier for consumers and businesses to manage their money. Digital Insight provides solutions that help financial institutions achieve higher customer engagement and profitability. Thousands of banks and credit unions use Digital Insight to provide their online banking services. Thoma Bravo acquired the business from Intuit in 2013 and established it as an independent company with its own data center, back office operations and G&A functions and identified a number of cost savings opportunities. Thoma Bravo then received an offer from NCR Corporation (NYSE:NCR) to acquire the business at a price that achieved the return goals for the investment much sooner than had been anticipated. The business was sold to NCR less than six months after the Thoma Bravo investment. Dynatrace is an innovator and the market leader in the new generation of application performance management (APM) solutions. The company’s products help customers, both large and small, see their applications and digital channels through the lens of end users. Over 5,800 organizations use these insights to master complexity, gain operational agility, and grow revenue by delivering the highest quality user experiences. Previously a division of Compuware Corporation, Dynatrace was established as a stand-alone business by Thoma Bravo upon its acquisition of Compuware in 2014. Empirix is the recognized leader in end-to-end network performance visibility, offering the unique ability to analyze customer behaviors, by application, in real-time, through an innovative approach to enabling the build-out of the Service Operations Center model. The company helps service providers, mobile operators, contact centers and businesses master complexities to drive improvements in customer experience and user satisfaction. Through testing, monitoring, analytics and intelligence, Empirix helps customers around the world maximize their technology investments while reducing implementation and customer impact risks. Entrust secures digital identities and information for consumers, enterprises and governments in thousands of organizations spanning more than 60 countries. Leveraging a layered security approach to address growing risks, Entrust solutions help secure the most common digital identity and information protection pain points in an organization, including SSL, authentication, fraud detection, shared data protection and e-mail security. After acquiring the company through a take-private transaction in 2009, Thoma Bravo worked with management to create an appropriate go-to-market strategy, optimum pricing for its offerings and improved renewals, which produced a fast growing, recurring, and consistent subscription business that made a successful transition to a Software-as-a-Service (SaaS) business. In 2013, Entrust was sold to Datacard Group, a privately owned, global issuer of secure credit and financial cards, passports, national IDs, employee badges, mobile payment applications and other credentials on behalf of financial institutions, government agencies and other enterprises. During Thoma Bravo’s time with Entrust, the company’s revenue and earnings increased substantially. Flexera Software solutions make the business of buying and selling software more profitable, secure and effective and simplify the business relationship between software producers and enterprises. The company’s solutions help software sellers grow recurring revenues and minimize open source risk, and help companies buy only the software and cloud services they need, manage what they have, and reduce compliance and security risk. A Thoma Bravo fund acquired the business unit that is now Flexera from its corporate owner, Macrovision, in 2008 and established the business as an independent entity with its own structure, systems and leadership. With Thoma Bravo’s support, Flexera earnings almost doubled, margins increased about 20% and revenues grew more than 40% over the following three years. Four synegistic acquisitions contributed significantly to this growth and enhanced the Company’s market position and overall product offering. In 2011, Thoma Bravo sold a controlling interest in Flexera to Teachers’ Private Capital, the private investment department of the Ontario Teachers’ Pension Plan. The remaining interest was sold in early 2018 when TA Associates invested in Flexera. Frontline Education is an award-winning provider of administrative and HR software solutions for more than 12,000 educational organizations representing over 80,000 schools and millions of educators, administrators and support personnel—the front line of education—in their efforts to develop the next generation of learners. Bringing together the best education software solutions into one unified platform, Frontline makes it possible to manage the administrative needs of the education community efficiently and effectively, including recruiting and hiring, employee absences and attendance, professional growth and special education and interventions programs. Global Healthcare Exchange (GHX) is a leading provider of cloud-based technology and services used for supply chain management by healthcare providers and suppliers. GHX offers its healthcare customers an open and neutral electronic trading exchange, procurement and accounts payable automation, contract and inventory management, business intelligence, and other tools and services. GHX enables the healthcare community to provide better and more cost-effective patient care by maximizing automation, efficiency and accuracy in business processes. A Thoma Bravo fund acquired GHX in 2014 from the consortium of healthcare companies that had formed it and, working closely with the company’s existing senior management team, implemented step-function operational improvements at closing, used improved cash flow to complete accretive add-on acquisitions, and re-invested in organic growth initiatives. As a result, the company’s earnings and margins increased substantially. In 2017, Temasek, a Singapore-based investment firm, purchased a majority interest in the company; Thoma Bravo remains an investor in the company with a minority interest. Idaptive was formed to enhance the growth of the Identity-as-a-Service (IDaaS) business previously part of Thoma Bravo portfolio company Centrify. Idaptive delivers Next-Gen Access, a more advanced version of traditional access management technologies, to protect organizations from data breaches. Idaptive products are built on Zero Trust, an IT architecture based on the principle of “never trust, always verify.” Unlike other providers of access management, Idaptive uniquely combines leading capabilities to seamlessly integrate single-sign on (SSO), multi-factor authentication (MFA), enterprise mobility management (EMM), and user behavior analytics (UBA). Its solutions intelligently determine the authenticity of a digital user and the user’s device, govern access across an organization’s resources, and react when risky behavior is detected. Founded in 2002 in Redwood Shores, CA, Imperva is a leading provider of application and database security solutions — two of the most important pieces of an organization’s IT assets — on-premises, in the cloud, and across hybrid environments. Imperva’s core application security offering is a Web Application Firewall (WAF) that inspects all traffic going to a company’s websites/web applications and protects against both known and unknown threats. For database security, the company’s principal product is a Database Activity Monitoring (DAM) solution that inspects all user activity within a database and then uses advanced analytics to determine whether that activity represents a threat, in which case it can disable a user’s access and track changes the user made within the database. Imprivata is a leading provider of authentication, identity and access solutions for healthcare organizations globally. The Imprivata platform addresses critical compliance and security challenges while improving productivity and the patient experience. The company’s solutions include an authentication, single sign-on and workflow automation platform; a multi-factor authentication platform for e-prescribing controlled substances, remote access, and clinical workflows; a cloud-based secure communications and messaging platform; and a patient identification system using biometric technology. Together, they enable healthcare organizations to access, communicate, and transact patient information securely and conveniently. Infogix helps Fortune 1000 corporations analyze data as it moves through complex business environments to improve the customer experience, corporate profitability and operational efficiency. Through its Enterprise Data Analysis Platform, Infogix improves data quality, ensures effective transaction monitoring, provides balancing and reconciliation, and identifies and predicts fraud and customer behavior – assuring the integrity of information for hundreds of enterprise customers each day. Thoma Bravo Acquires Infogix, Inc.
InfoVista is a Paris-based leading provider of service performance assurance solutions for IP-based network and application services. InfoVista’s unified network performance management and application performance management platform equips about 80% of the world’s largest network operators and many global enterprises to provide a high-quality user experience end-to-end while keeping operational costs as low as possible. During its almost five years of ownership of InfoVista, Thoma Bravo worked closely with the company’s management to improve sales, marketing and research and development efficiency and productivity, all in a manner consistent with applicable French work rule restrictions. Thoma Bravo also assisted the company in making three highly strategic acquisitions that had the effect of substantially increasing revenue and creating future growth opportunities. In 2016 the company was sold to Apax Partners, a leading European private equity investor. iPipeline is a leading provider of cloud-based software solutions for the life insurance industry. Through its SaaS solutions, it accelerates and simplifies insurance sales, compliance, operations and support. The company provides process automation and seamless integration between every participant in the life insurance industry including carriers, agents (such as financial advisors and independent insurance agents), distributors (such as banks, broker-dealers and general agencies) and consumers. Its innovative solutions enable automated processing for pre-sales, point-of-sale execution of applications, post-sale support, reporting, consumer delivery and agency management. With its acquisition of Manugistics in July 2006, funded by Thoma Bravo, JDA became the global leader in helping more than 5,500 retail, manufacturing and wholesale-distribution customers in more than 60 countries achieve demand chain results. JDA Portfolio software enables high-performance business process optimization and execution from the manufacturer’s plant through distribution to an end customer or a retailer’s shelf. With offices in major cities around the world, JDA employs the industry’s most experienced supply and demand chain experts to develop, deliver and support its solutions. The investment was sold in 2009. Formerly part of the Enterprise Software business of Lexmark International, Kofax is a leading provider of software to simplify and transform the First Mile™ of business—where the first critical, information-driven interactions between a business and its customers occur. Success in the First Mile can dramatically improve the customer experience, greatly reduce operating costs and increase competitiveness, growth and profitability. Kofax software and solutions provide a rapid return on investment to more than 25,000 customers in financial services, insurance, government, supply chain, business process outsourcing and other markets. Kofax markets its solutions via a direct sales and service organization, along with a global network of more than 1,000 authorized partners in more than 70 countries throughout the Americas, EMEA and Asia Pacific. LANDESK Software is a leading provider of systems lifecycle management, endpoint security and IT service management solutions for desktops, servers and mobile devices across the enterprise. LANDESK enables IT departments to gain control of end-user computing environments with a single console, light infrastructure, and ITIL solutions that deliver significant value and ROI. Thoma Bravo invested in LANDESK in 2010 by acquiring it from Emerson Electric (NYSE: EMR), where it was an operating division, and establishing it as stand-alone business. Then, working closely with management, Thoma Bravo implemented operational processes, metrics tracking and other best practices to improve cash flow margins by more than 40%, followed by a series of add-on acquisitions. Seven highly complementary technology assets were acquired to broaden the company’s product offering and position it as a fully integrated, end-to-end, user-centered IT management platform. In 2016, LANDESK was sold to Clearlake Capital Group, L.P., which combined it with its portfolio company HEAT Software to create a new business using the name Ivanti. 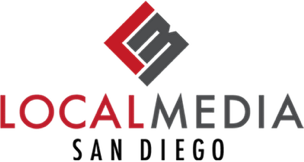 LMA operates three 100,000 watt class C radio stations serving the San Diego, CA market, the country’s 17th largest radio market, with a variety of popular music formats and e-marketing opportunities. The Company also seeks additional radio broadcasting opportunities in large markets throughout the U.S. The current LMA stations are: XHRM-FM 92.5 (“Magic”), a “Rhythmic Adult Contemporary” station; XHTZ-FM 90.3 (“Z90”), a “Rhythmic Contemporary Hit Radio” station; and XETRA-FM 91.1 (“91X”), an “Alternative Music” station. LogRhythm is a world leader in advanced security information and event management software products (NextGen SIEM) that empower organizations on six continents to successfully reduce risk by rapidly detecting, responding to and neutralizing damaging cyberthreats. LogRhythm’s NextGen SIEM Platform combines traditional SIEM capabilities with advanced user and entity behavior analytics (UEBA), network traffic and behavior analytics (NTBA) and security automation and orchestration (SAO). These combined capabilities deliver end-to-end Threat Lifecycle Management and serve as the foundation for an AI-enabled Security Operations Center (SOC), helping customers secure their cloud, physical and virtual infrastructures. Mailgun provides email API technology to over 150,000 companies, enabling developers to send, receive, and track email easily from within their applications. Mailgun offers robust infrastructure technology combined with best-in-class customer support to ensure market-leading deliverability across several types of emails, including transactional and marketing messages, and does so at high-volume, high-frequency senders. Manatron is a leading provider of integrated, enterprise-level property tax solutions for state and local governments. The company’s software manages the entire property life cycle, which includes deed recording, land records, GIS (Geographic Information System) integration, valuation, assessment administration, personal property, business licenses, cashiering, tax billing and collection, delinquents and tax sales and e-government. Manatron serves customers throughout the United States and in Canada, South Africa and the U.S. Virgin Islands. Over its three-year ownership of the company, through internal growth and six strategic acquisitions, Thoma Bravo was able to help Manatron grow its earnings by a factor of almost 5x, increase its operating margin almost 6x and expand from a local provider of tax software in a few core markets to the leading provider of end-to-end property systems globally. The company was sold in 2011 to Thomson Reuters (NYSE: TRI), a $13B global information services company. McAfee, formerly a unit of Intel Corporation, is one of the world’s leading independent cybersecurity companies. For business customers, McAfee provides market leading security products that protect endpoints, networks and data, while its enterprise solutions include Data Loss Prevention (DLP), Security Information and Event Management (SIEM), Server Protection, and NextGen Endpoint Protection. For consumers, McAfee provides protection from identity theft, phishing scams, viruses and malicious websites. MedeAnalytics is a provider of cloud-based financial performance analytics for the healthcare industry. The company’s analytics platform allows healthcare organizations to use the immense amount of patient data collected along the care continuum to generate intelligence that helps detect their greatest areas of risk and identify opportunities to improve their financial health. With MedeAnalytics, providers and health plans are better able to collaborate and use data to strengthen their operations and improve the quality of care. MedeAnalytics’ cloud-based tools have been used to uncover business insights for healthcare organizations across the United States and United Kingdom. Mediware is a leading provider of specialized healthcare IT solutions for automating and managing complex healthcare processes for a broad spectrum of healthcare customers, including hospitals and alternative and post-acute care treatment facilities. Mediware software systems improve efficiencies and address safety concerns, enabling healthcare organizations to improve care processes while controlling costs. After acquiring the company in 2012, Thoma Bravo and management reduced the cost structure of the business to improve profitability without impacting revenue performance. Thoma Bravo also worked with management to reposition the business from predominantly a provider to the highly competitive hospital acute care market to a leading provider of healthcare IT for areas outside the hospital. Consistent with Thoma Bravo’s buy-and-build strategy, over the 4+ years of Thoma Bravo ownership the company identified and completed six accretive add-on acquisitions that not only increased the scale and scope of the business but also further improved profit margins and added additional, highly attractive recurring revenue. In 2017 Mediware was sold to TPG Capital. MeridianLink, Inc. was formed by the merger of MeridianLink and CRIF Lending Solutions and provides mission-critical software solutions to financial institutions. Developer of the industry’s first multi-channel account opening and loan origination suite, the company’s LoansPQ, LendingQB, and ACTion platforms allow banks and credit unions to process and accept consumer and mortgage loans as well as account opening applications, and integrate seamlessly with all major core and data services providers. MeridianLink also offers Synergy, a highly customizable and configurable loan processing and decisioning workflow product, as well as MortgageCreditLink, the dominant provider of “tri-merge” integration functionality into credit bureaus and other third-party consumer and business databases. Motus (which Thoma Bravo combined with Runzheimer International in 2018) is a leading, technology-driven provider of vehicle management and reimbursement solutions and other mobile workforce management tools. The company provides a sophisticated configuration engine that incorporates real-time data across hundreds of variables to drive significant cost reductions for companies reimbursing employees for business miles driven, while helping to ensure regulatory compliance. Network Instruments is an industry leader in application and network troubleshooting and analysis. The company’s monitoring and management tools optimize performance and speed problem resolution, helping ensure delivery of critical applications for businesses worldwide. It delivers these benefits through a seamlessly integrated line of software and hardware systems that are precision engineered for exact network monitoring and analysis. After Thoma Bravo acquired Network instruments in 2012, it worked with management to transition the company from a founder owned and operated business to a professionally managed business with improved budgeting processes, formal incentive plans and financial support for sales to build upon the company’s differentiated technology in a growing market. This led to increased revenues and earnings, accelerated growth in new bookings and attention from larger companies in the sector. In 2014, the company was sold to JDS Uniphase Corporation (NASADAQ:JDSU), a $1.7B public provider of network management solutions. PEC Safety is an industry leading risk-management company offering a technology-enabled contractor management service that provides the data, analysis and reporting business owners need to prequalify and qualify contractors for work. For over 24 years, PEC has supported owner clients in making the workplace safer by helping them manage contractors, subcontractors and vendors to the owners’ requirements. Over 110 owner clients manage over 15,000 contractors in PEC’s total contractor management solution. PEC also develops and offers standardized safety learning programs for workers in high-risk industries. Over 2 million workers have been trained with PEC programs by a network of 3000+ PEC Authorized Instructors. As the global leader in work and resource management, Planview makes it easier for all organizations to achieve their business goals. We provide the industry’s most comprehensive solutions designed for strategic planning, portfolio and resource management, new product development, work collaboration, and enterprise architecture. Our solutions span every class of work, resource, and organization to address the varying needs of diverse and distributed teams, departments, and enterprises. Planview’s 700 employees serve more than 3,000 customers worldwide through a culture of innovative technology leadership, deep market expertise, and highly engaged communities. A leading postsecondary educational institution, founded in 1946, providing technical, business and health related occupational training through seven campuses in Connecticut and Massachusetts. PowerPlan, Inc. is a leading provider of corporate performance management (CPM) software to companies in asset-intensive industries, including utilities, oil & gas, public sector, telecom and transportation. PowerPlan’s fully integrated cloud-based and on-premise CPM platform provides complete data visibility from forecasting and monitoring to scenario planning and analytics while maintaining financial compliance. Thoma Bravo invested in PowerPlan in February 2015 and helped management develop and utilize more advanced financial management tools in the operation of the business. In addition, sales headcount was doubled to spur growth and the company’s technology was upgraded to set the foundation for a next-generation, cloud-based platform. Revenue grew at a double-digit compound annual rate and EBITDA margins expanded. Thoma Bravo also supported management in executing a highly accretive add-on acquisition of Riva Modeling Systems Inc., a leader in asset management planning and asset investment planning solutions. In June 2018, PowerPlan was acquired by Roper Technologies, a publicly-traded diversified industrial company. Quorum is a leading provider of integrated software solutions that address the core processing demands of the upstream, midstream and downstream segments of the oil and gas value chain. The company offers an industry-leading portfolio of finance, operations and accounting software that empowers energy companies of all sizes to overcome their most complex business challenges from the field to the back office. Quorum is a preferred software provider to many of the largest public energy companies worldwide, 75 percent of LNG exporters throughout North America and companies providing 80 percent of all the natural gas processed in the United States. Riskonnect is the leading global provider of Integrated Risk Management technology solutions. Its platform gives companies a holistic view of the various risk factors they face, along with mitigants, costs and impact for those risks. Through a unified, highly configurable set of modules, the company provides the tools and business intelligence needed to reduce losses, control risk, manage key stakeholder relationships and increase shareholder value. Riskonnect’s solutions allow users from organizations of any size to easily review, analyze and report on data from web-based interfaces—all within a single point of access platform. Riverbed is the leader in Application Performance Infrastructure, delivering the most complete platform for the hybrid enterprise to ensure applications perform as expected, data is always available when needed, and performance issues can be proactively detected and resolved before impacting business performance. Riverbed enables hybrid enterprises to transform application performance into a competitive advantage by maximizing employee productivity and leveraging IT to create new forms of operational agility. Riverbed’s customers include 98% of the Forbes Global 100 and 97% of the Fortune 100. Roadnet (formerly UPS Logistics Technologies, a division of United Parcel Service) provides fleet management solutions for hundreds of thousands of vehicles worldwide and in a variety of industries. Specific fleet management applications provide strategic territory and street-level route plans, real-time wireless dispatch, vehicle telematics and global positioning systems (GPS). The company’s solutions are utilized to improve operational efficiency and driver productivity, saving customers millions of gallons of fuel every year. Thoma Bravo purchased the Roadnet business from UPS in 2010 and established the business as an independent company. During the Thoma Bravo ownership, the management team was supplemented, various operating improvements were made and sales and renewal functions were reorganized, all of which resulted in substantial increases in revenue and profitability. The company was sold in 2013 to Omnitracs, a portfolio company of Vista Equity Partners, who had concluded that Roadnet’s focus on software-based fleet solutions for private fleets was an excellent complement to Omnitracs’ focus on telematics hardware and software solutions for the long-haul transportation market. SailPoint is the market-leading provider of on-premises and SaaS-based Identity and Access Management (“IAM”) solutions, helping global organizations mitigate security risks, demonstrate and maintain compliance, improve service levels and reduce operational costs. SailPoint’s solutions address the pressing authentication, authorization, administration and governance challenges that organizations face today – diverse populations of employees, partners and consumers; mission-critical applications that must be secured inside the datacenter and in the cloud; and the emergence of “anytime, anywhere” access via personal/mobile devices. The company serves a wide spectrum of industries and manages many of the largest IAM implementations in the world – with thousands of applications, hundreds of thousands of users and millions of entitlements. Segall Bryant & Hamill provides management of equity and fixed income investments for institutional and private clients in the United States and abroad. The firm was established in 1994 by a group of investment professionals with over 20 years of prior experience working together and is based in Chicago, Illinois. With steady growth over the last five years, today Segall Bryant & Hamill has assets under management in excess of $9 billion. Sirius is a national integrator of technology-based business solutions that span the enterprise, including data center and business operations. The company provides a wide variety of products and services from the world’s top technology companies, making it the leading value-added reseller (VAR) in the U.S. and IBM’s largest Solution Provider. Thoma Bravo helped the company diversify its revenue stream and dramatically expand its product line and geographic market through acquisitions and strategic initiatives. Five acquisitions added almost one-half billion dollars of revenue to the business and supported the diversification strategy, while continued investment in sales capability strengthened the company’s competitive position even during a major recession. During Thoma Bravo ownership, revenues increased from just over $600 million annually to about $1.6 billion, profitability almost tripled and the number of employees grew more than three-fold. In 2015, Sirius was sold to private equity firm Kelso & Company. SolarWinds is the leading provider of IT and infrastructure management solutions for IT professionals. Its powerful and affordable hybrid IT infrastructure management software is used by customers worldwide, from Fortune 500® enterprises to small businesses, government agencies and educational institutions. SolarWinds delivers products that are easy to find, buy, use, maintain and scale while providing the power to address all key areas of the information technology infrastructure, from on-premises to the Cloud. Users are able to interact in the company’s thwack® online community to solve problems, share technology and best practices and directly participate in the product development process. SonicWall is a leader in advanced network security, secure remote access, email security, backup and recovery, and management and reporting. The company’s advanced intelligent network security and data protection solutions adapt as organizations evolve and as threats evolve. SonicWall solutions are designed to detect and control applications and protect networks from intrusions and malware attacks through hardware, software and virtual appliance-based solutions. Thoma Bravo led an investment group that acquired SonicWall through a take-private transaction in July 2010. In the following two years, the development and implementation of operational strategies developed by its management and Thoma Bravo positioned the company as a leader in the evolving area of network security and data protection and attracted the attention of larger information technology companies. In mid-2012 the company was sold to Dell, Inc. (NASDAQ: DELL) and now operates as Dell SonicWall. Sparta Systems, an industry pioneer and global leading provider of enterprise quality management solutions (EQMS), enables businesses to safely and efficiently deliver their products to market. Its TrackWise EQMS, a trusted standard among highly regulated industries, is used by quality, manufacturing and regulatory affairs professionals to manage compliance, reduce risk and improve safety across the global enterprise. Headquartered in Hamilton, N.J. and with locations across Europe and Asia, Sparta Systems maintains an extensive install base in the pharmaceutical and biotechnology, medical device, electronics manufacturing and consumer products markets. SRS is the healthcare industry leader in productivity-enhancing electronic health records (EHR) and healthcare IT (HCIT) solutions for specialists and other high-performance physicians. With over 5,000 providers, the EHR company has built the largest national network of high-performance practices successfully using EHR. Preeminent among orthopaedists, SRS is also the solution of choice among prominent ophthalmologists, cardiologists, and other specialists. The company also offers practice management, patient portal, transcription, and picture archiving and communications system (PACS) solutions, all of which are integrated with its government-certified EHR via the Unified Desktop™. T2 Systems is the largest parking technology provider in North America, with more than 24 years in the parking management industry and currently serving thousands of parking professionals. T2 integrates the best people, processes and technology for powerful, high performance and secure parking solutions. Its open technology and processes are used to manage more than 200 million parking transactions for over 2 billion dollars annually across all 50 states and ten provinces in Canada. Customers rely on T2 for multi-space pay stations, permit management, enforcement, LPR, PARCS, vehicle counting, citation services and event parking. TRADER Corporation is Canada’s largest digital automotive marketplace and provides the most comprehensive set of marketing software solutions to Canadian automotive dealers. Its market leading online properties — autoTRADER.ca™, autoHEBDO.net™ and Autos.ca — bring together Canada’s largest audience of in‐market car shoppers with Canada’s most comprehensive and detailed inventory of new and used vehicle listings. The company also provides its auto dealer customers with software solutions that enable them to make smarter and faster business, inventory and marketing decisions. TravelClick provides innovative, revenue‐generating, cloud‐based solutions for the global hospitality industry. TravelClick’s solutions for hotels around the globe increase revenue, reduce cost, improve performance and create a stronger brand. The company’s suite of products and services includes: reservations solutions, business intelligence solutions, media solutions, web solutions and guest management, all designed to integrate seamlessly with one another to comprehensively address the needs of hotel operators. Thoma Bravo acquired the company in 2014 from another private equity firm and helped the company add key new management positions, execute strategic add-on acquisitions, and make changes in how its products were marketed. We also invested in updating and enhancing the functionality of a core product. TravelClick was sold in late 2018 to Amadeus IT Group SA, a major publicly traded Spanish provider of software for the global travel and tourism industry. Veracode is a leading provider of application security testing (AST) software, offering a full suite of AST tools and professional services. The company’s SaaS platform and integrated solutions enable software developers to test development code for security flaws and deficiencies and offer guidance on how to revise code to be more secure, resulting in safer, harder to breach software applications and without sacrificing speed or innovation. Vision Solutions is a premier provider of high availability, disaster recovery and protection, and migration solutions for multiple platforms, including Windows, Linux, IBM’s System i, AIX and Cloud. The firm’s product portfolio delivers near-zero downtime data migrations, shares data in real-time across platforms, and moves, protects and restores data, applications and operating systems of any kind on any combination of physical, virtual or cloud servers. Thoma Bravo acquired the business in 2006 by completing a take-private transaction on the Johannesburg, South Africa, Stock Exchange and immediately began an industry consolidation strategy that resulted in the acquisition of two of the largest companies in the market (iTera and Lakeview Technologies), followed by the take-private acquisition of Double-Take Software, Inc. This greatly strengthened Visions market position, broadened its platform and created the largest provider of cross platform high availability software. After almost ten years of growth Vision was sold to another private equity firm. NOTE: The descriptions associated with this partial list of prior investments are intended to illustrate business performance that Thoma Bravo believes to be representative of the companies in which it invests. Performance can and does differ within any private equity investment portfolio.